Paul George may have scored 17 points as his team took down the reigning NBA champion Miami Heat, but that was just the beginning of his stellar night Tuesday. The Pacers swingman went all high school and stayed after the game to shoot some hoops — and he did it in good company. Justin Timberlake, who presumably took in Indiana’s 90-84 victory as well, stuck around to shoot with him. 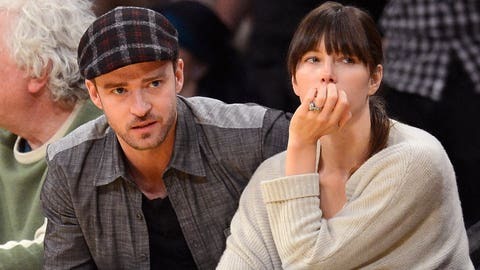 Pacers coach Frank Vogel and rookie Trey Burke were said to be on the sideline watching as George and Timberlake dueled in some H-O-R-S-E, although George did take it a little easy by popping his elbow shots in adidas sandals. Check it out in the video and tweet below.